Home > Games	> New Kindle apps! Games, Puzzles and an Interactive Adventure! New Kindle apps! Games, Puzzles and an Interactive Adventure! ‘Fling it! (A Game for Kindle)‘ by Nice Games is available on the Amazon Kindle site for $0.99. Just click here to download! Fling it! is a great puzzle game. The goal of the game is to remove balls from the board until there is just one left. Balls are removed by flinging them – either horizontally or vertically. You can fling a ball only towards another ball. However, you can’t fling the ball directly off the board or towards a ball right next to it. You must also watch out for walls or one-way signs which block your movement. The game contains 120 levels – bringing you hours of mind-challenging gameplay. Challenge yourself with Fling it! today and try to solve all the 120 puzzles! 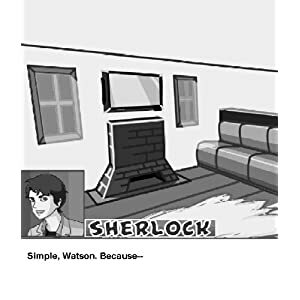 ‘Young Sherlock (An Interactive Adventure for Kindle)‘ by Mobilehead available on the Amazon Kindle site for $1.99. Just click here to download! Join the adventures of young Sherlock, great grandson of the Sherlock Holmes in solving crimes, fending off bullies and surviving high school. Help Sherlock with his newly arrived partner Irene make the right choices, and use the right allies in solving each mystery. Young Sherlock is a series of interactive fiction. With each new mystery players will have to make the correct choices to solve the crime. ‘Pool (An 8-Ball and 9-Ball Pool Game Kindle)‘ by Nickel Buddy is available on the Amazon Kindle site for $2.99. Just click here to download! Ready to rack ’em up? Pool brings the fun of the billiards hall to Kindle so you can practice your Hustler skills when you need a break from reading. 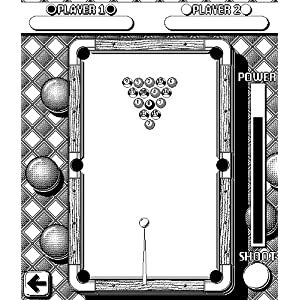 This is a game of 8-Ball pool for Kindle (sometimes known as Stripes and Solids). Play in single player mode against the Kindle, or start up a 2-player game with a friend by passing it back and forth. Try to run the table but be careful you don’t scratch. 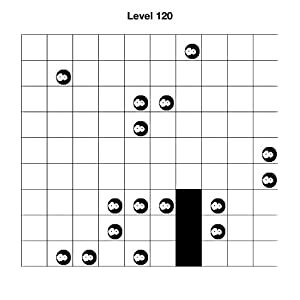 Also included is a bonus 9-Ball Time Challenge game. Can you sink all the balls on the table before time runs out? Remember, if you don’t call it it doesn’t count! Try Pool today. ‘Puzzle Baron’s Cryptograms: Volume 2 (Code Breaking Puzzles for Kindle)‘ by A Gamz is available on the Amazon Kindle site for $2.99. Just click here to download! Enjoy even more Cryptograms on your Kindle. Test your deductive and word finding skills as you decode a series of letters to reveal a hidden message. Puzzle Barron’s Cryptograms Volume 2 contains one hundred new quotes organized into popular categories like Actors, Musicians, Scientists and U.S Presidents. Special features display the letters remaining in a puzzle and letter frequencies. Three difficulty levels will challenge beginners and seasoned players alike, and there is a hint option if you get stuck. When you finish the puzzle, you’ll see a graph showing how your time compares to other people who have completed this puzzle and the number of hints taken if any. If you like Cryptograms, this is for you!